Hello and welcome to our campsite review for this month. 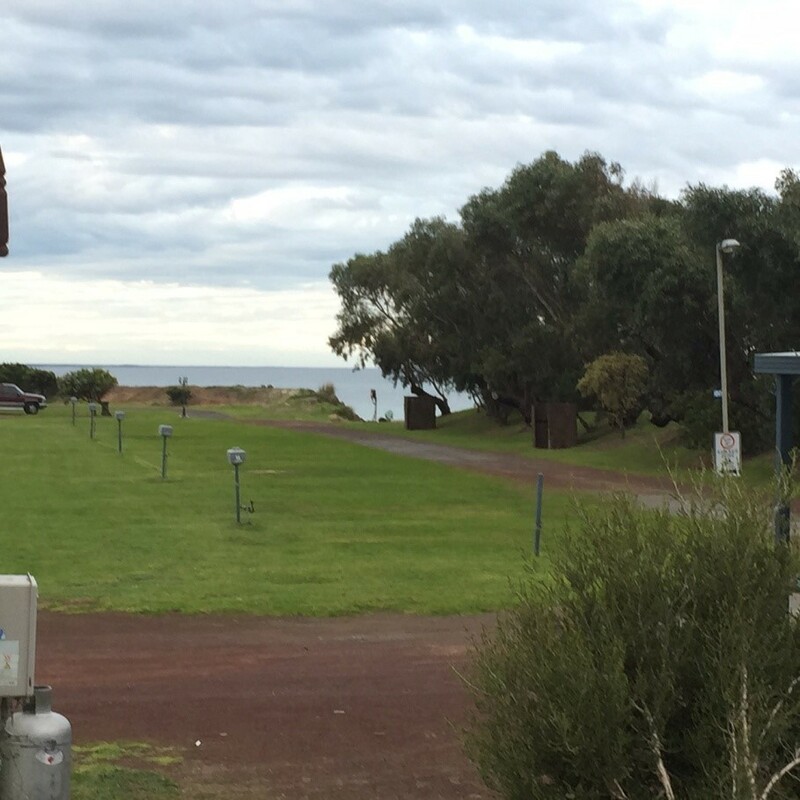 This month we have a closer look at the Henty Bay Beachfront Holiday Park, located in Victoria. The park is in a pristine location and was nominated by a few Free Rangers as an awesome place to stay, which prompted us to have a closer look at all it has to offer. 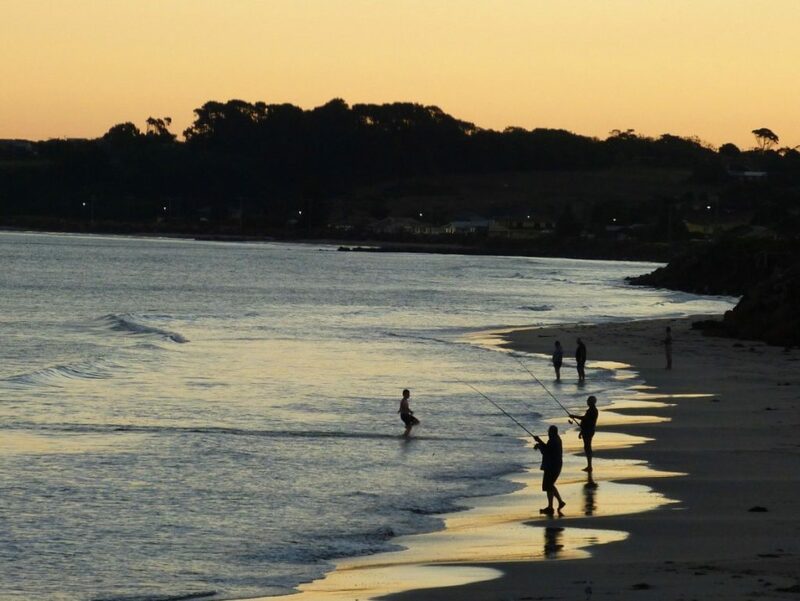 Henty Bay is located along the southern coast of Victoria just 5 minutes out of the Portland Township and is the western gateway to the Great Ocean Road. 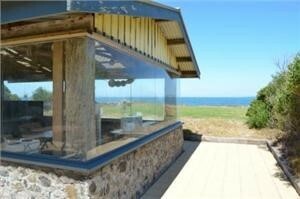 It is set with stunning sea views and quiet surrounding, making for a beautiful and peaceful spot to stop. Portland offers many unique natural sights, wildlife, and tourist attractions or you can just relax at the beach right at the Holiday Park. 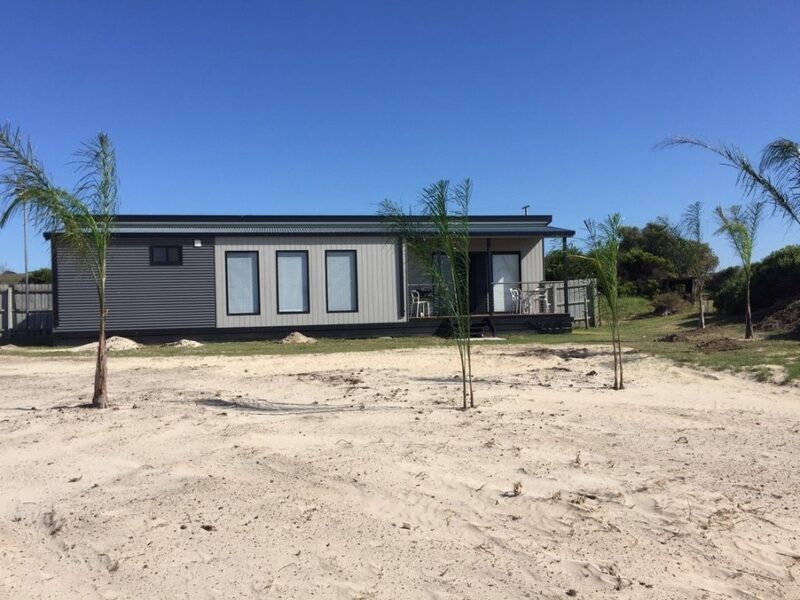 The grounds of the Holiday Park are kept immaculate and occupy 10 acres of pristine coastline that stretches along the foreshore reserve with direct access to the beach right on Henty Bay, which is ideal for a host of water activities. Grounds staff ensure the lawns are well maintained and the park kept spotlessly clean, as are the amenities which are well appointed. The park is very well appointed with a beachfront Camp Kitchen, laundry and bathrooms facilities all kept in clean good working order and well maintained and serviced. 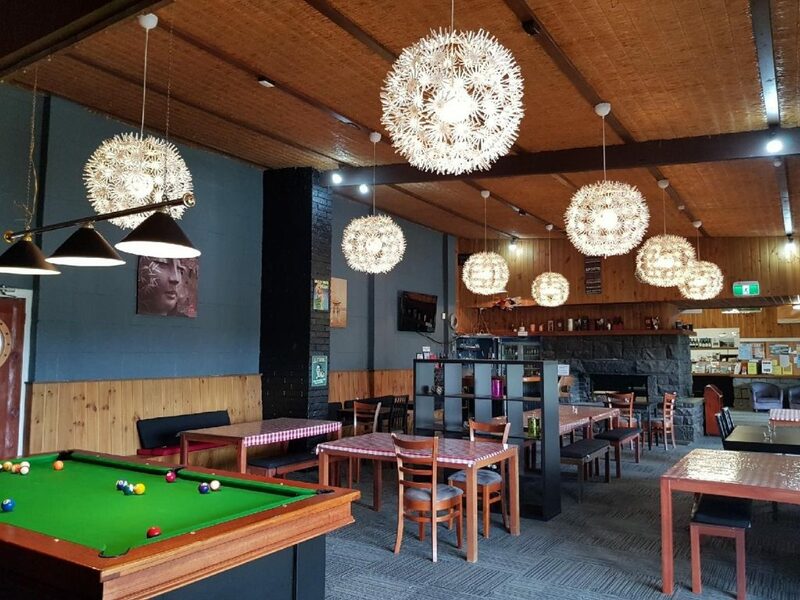 There is an onsite restaurant which in peak times is open each evening whilst in the quiet times there offer pub-style meals such as fish and chips or chicken parmigiana. They also offer catering for groups if you are planning a get together with a caravan club or for a family occasion. Then, there is the bar which is always open an ideal place to relax, meet fellow campers or enjoy a game of pool. 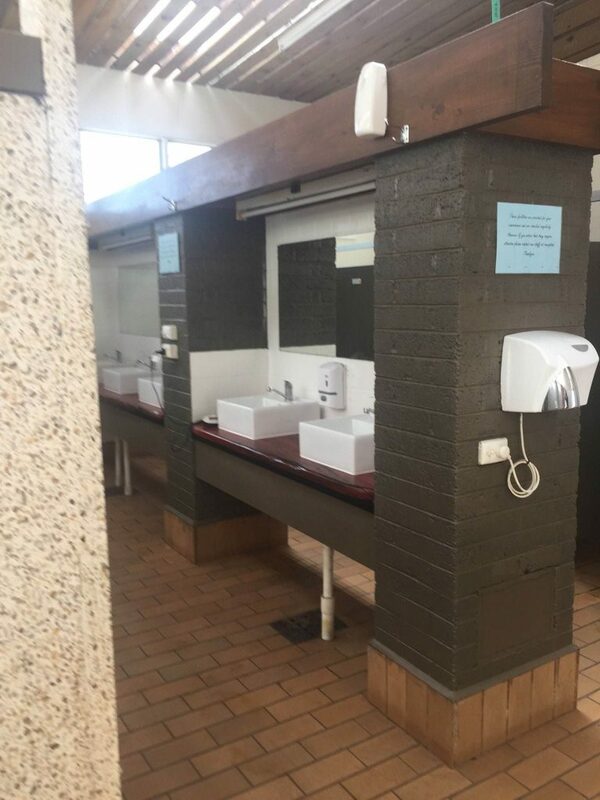 There are many different types of accommodation options on offer to suit all budgets from camping, en-suite campsites, powered sites to cabins and villas, dorm style and group accommodation. 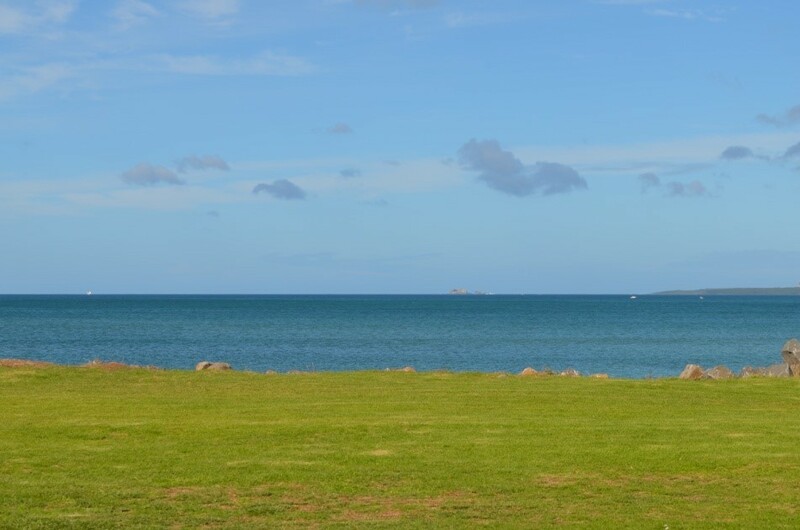 The campsites are all of generous sizes with many offering sea views. There is plenty of room to park extra vehicles and a choice of sites from dune sites to bush sites. For families or couples travelling together not wanting to camp or stay in a van, there is a wide variety of classic cabins to choose from that are clean and comfortable, affordable and excellent value for money. Or, you can choose one of the luxury villas with plenty of modern features. 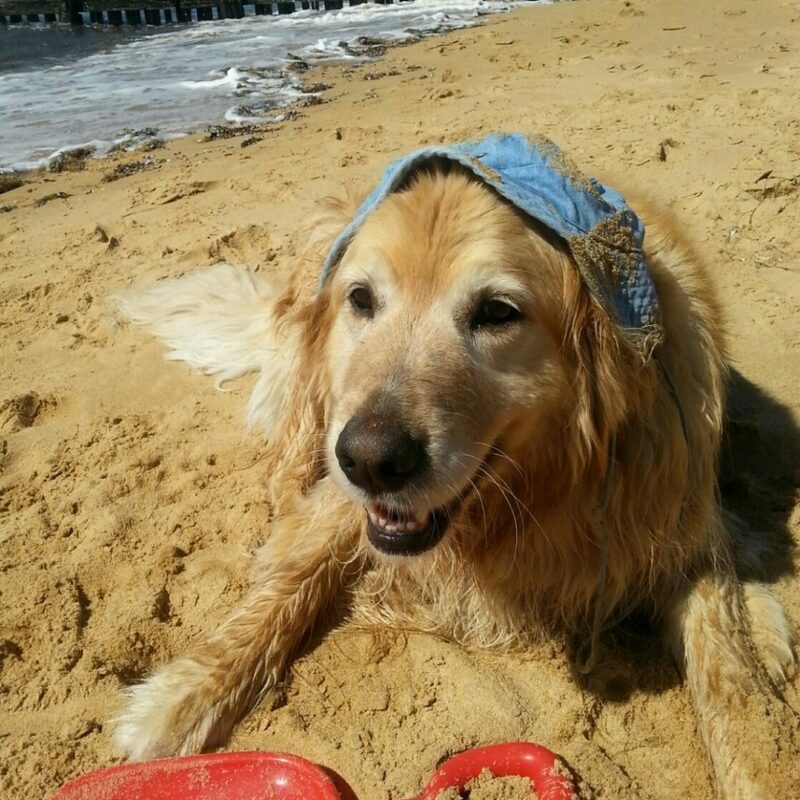 Henty Bay Beachfront recognises that pets are an important part of the family for some people and therefore, they are so Pet-Friendly that they even permit pets to stay with you in your cabins. 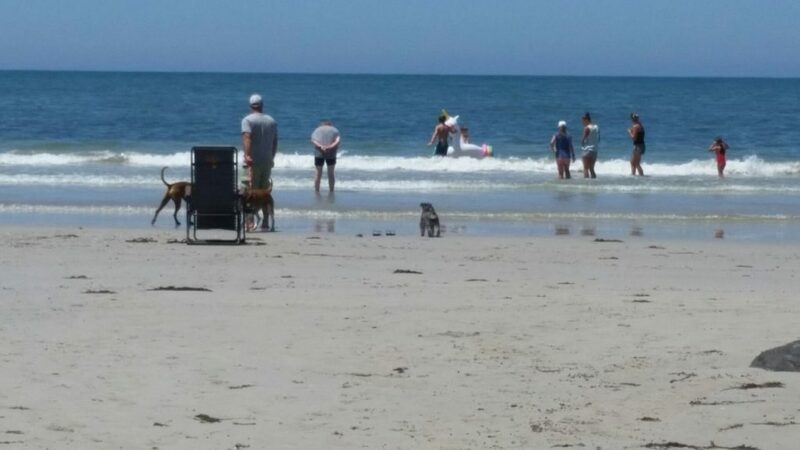 You can of course also have them onsite, they just request that common sense is used and pets are kept under control. As for the cabins, your pets are welcome to stay in any of the cabins, but it is important to let management know at the time of booking as dog numbers are limited at any one time. 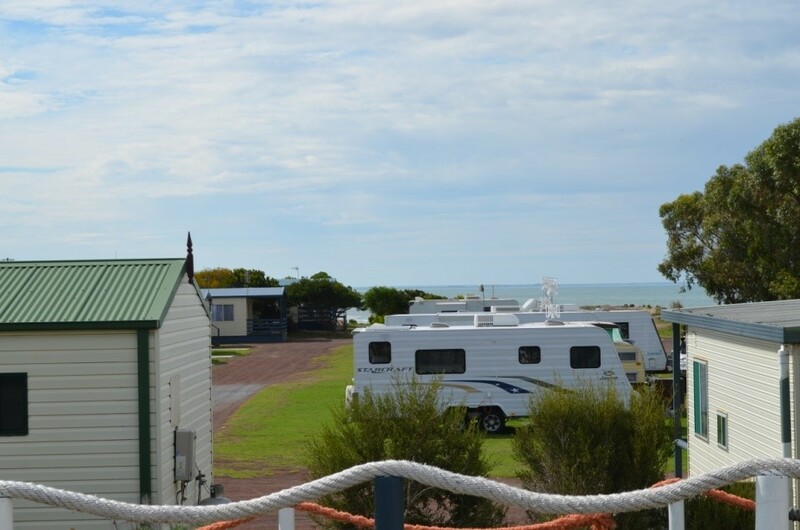 The park set up makes it ideal for all types of campers and travellers. 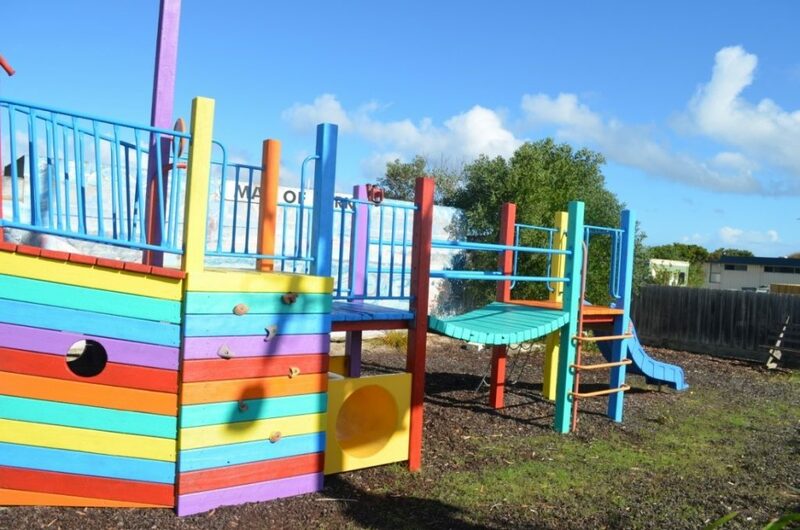 It specialises for families during peak holiday periods, with plenty on offer to keep the kids occupied including a jumping pillow and playground. Then during the quieter periods, it becomes an ideal destination for the Nomads, who can often have large parts of the park to themselves, and who perhaps might enjoy a bike ride or wetting a line. 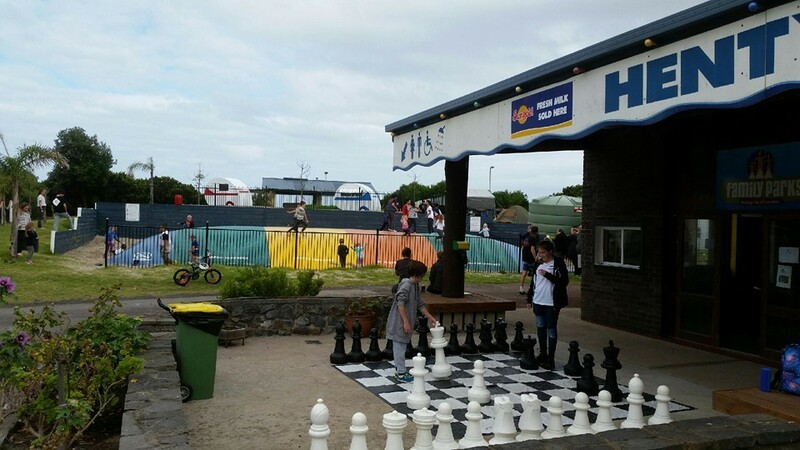 Henty Bay prides itself on outstanding customer experiences and offers family-friendly hospitality. Sandra, husband Rodney and their family live on site and pride themselves in service and ensuring all guests are well cared for, welcomed and happy. They are both long term locals with extensive knowledge of the area and happy to share the secret local favourite hangout spots with you. You certainly cannot complain about the location of the park. You cannot get any closer to the beach and many of the sites take full advantage of the views. Also, its proximity to Portland and other iconic locations is ideal. 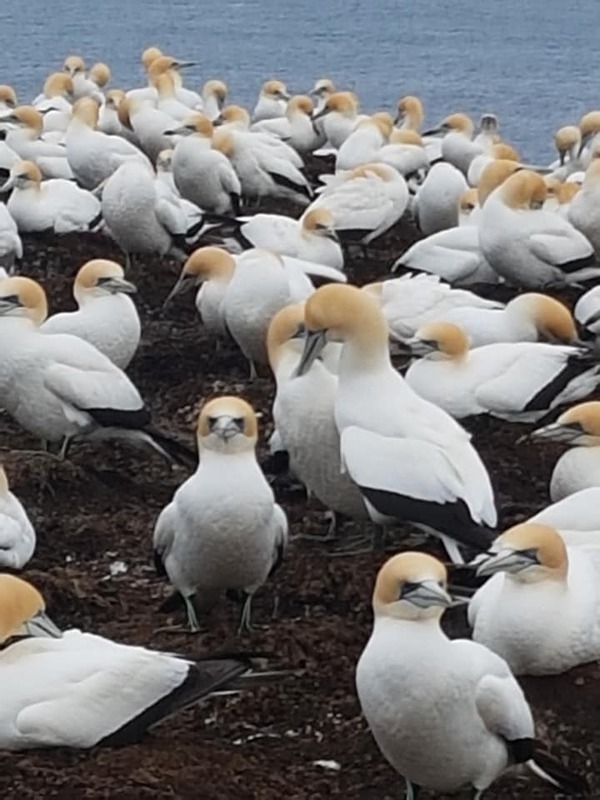 The Gannet Colony – which is the only mainland colony of this species in mainland Australia. These migratory birds arrive in July and nest from Aust to March with chicks hatching in late October. Portland Powerhouse Motor and Car Museum. 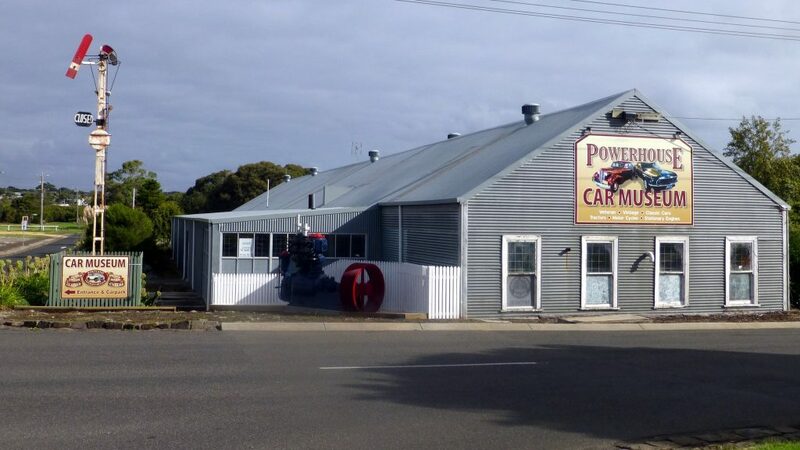 Featuring 50-plus vintage and classic Australian and international vehicles, motorbikes, tractors and trams that date back to the early 20th century. About 15 minutes drive from Portland is ‘The Blowholes” lookout and walk. The petrified forest is a walk of about 10 minutes on a flat path from the lookout. 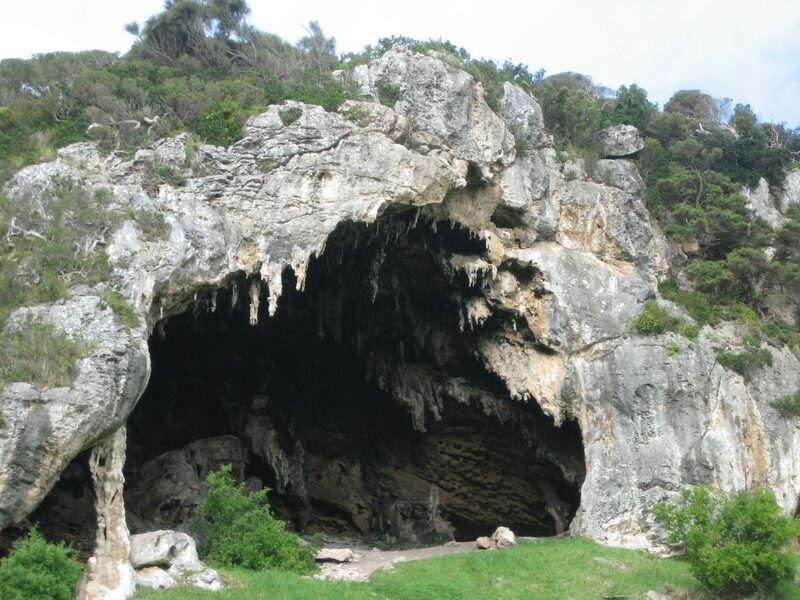 The Tarragal Limestone Caves are a short 20 minute drive from Portland opposite the entrance to Bridgewater Lakes. Take the steep 50 metre climb to the caves and enjoy an excellent view across Discovery Bay. Other places of interest, all within easy reach of the park are the Freshwater Springs, Cape Nelson National Park, Whalers Bluff Lighthouse and the Cable Tram.